Every man has a dream to own a house one day. For an ordinary person it takes a whole lifetime of savings to build a house. And one cannot predict a natural calamity like earthquake. In recent times we have seen what havoc an earthquake or any other natural calamity such as floods, landslides and torrential rains can wreck. 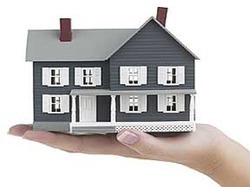 - Home Insurance covers natural and man-made calamities. Our home insurance policies are best suited for those who are seeking for the coverage for the losses/damages to the structure and contents of their residential property caused by any natural/man-made calamities like fire, lightning, aircraft damage, and impact damage. Under Section 1 (B) the Householder's Insurance policy, any loss or damage suffered to the following is treated as an exception and cannot be claimed. Life's journey takes you through many twists and turns. You may not be prepared for it, but you have to face it. Accidents, mishaps and other adverse situations bring along dire consequences. They can leave a dent on your life both emotionally and financially, if you are not prepared for it. Madhav Insurance Brokers Private Limited. Insurance Group. No matter what the circumstances of you or your property, our insurance policies are individually designed to ensure that your home is safe, protected and fully covered. Specialist motor trade insurance covering you and your business for full and part time motor traders.